Mahoning County Children Services, in partnership with the community, is committed to being the leader in protecting children while helping preserve families. Mahoning County Children Services is the county’s single agency empowered to provide public care and services to children as set forth in Chapter 5153 of the Ohio Revised Code. Public services to children in Ohio began in 1866 with the passage of the Children’s Home Law that enabled counties to build and maintain child care institutions for dependent and neglected children. In 1946, the passage of the Comprehensive Children Services Act mandated that each county provide social services for children and their families. The Glenwood Children’s Home was Mahoning County’s first publicly run children’s home. This facility was operational from 1900 until 1934. The institution was closed as child welfare practice in Ohio began transition to a foster family care model. In 1935 the trustees of the Glenwood Children’s Home became the Mahoning County Child Welfare Board. In 1946 the State of Ohio passed the Comprehensive Children Services Act and the agency became the Child Welfare Board, offering foster care and adoptive services. In the mid-sixties the agency became the Children Services Board and began conducting investigations of child abuse and neglect. In 1963 the first Receiving Home was purchased for short-term care of children. This home was replaced by the William Swanston Receiving Home in 1990. In 1967 the first group home for boys was opened. The second boys’ home opened in 1972. These two homes were consolidated into what is now known as the Boys Child Care Center in 1983. Use of a second facility was donated by a local philanthropic organization and became the Girls Child Care Center opening in 1968. By 2013, however, Mahoning County Children Services was one of only four counties in Ohio which retained government run residential facilities. In 2016, the Children Services Board made the difficult decision to transition away from providing congregate care as a governmental function. Therefore, both residential facilities closed in July of 2016. WE ARE CHILD WELFARE LEADERS. We take pride in working with families and our community with care and compassion. We provide quality services that respect each family’s culture. We are fiscally responsible, effectively utilizing resources to benefit the families we serve. We educate the community on recognizing and preventing child abuse and neglect. WE RESPECT AND VALUE FAMILIES AND THEIR CHILDREN. We respect families’ strengths and provide individualized services. We empower parents and partner with families to ensure child safety, permanency and well-being. We recognize children are best served within their family and community. WE VALUE OUR PARTNERSHIPS WITH THE COMMUNITY. We recognize the need to work in collaboration with the community to protect children and preserve families. We support the well-being of children and families; it is a shared agency and community responsibility. Many of the services provided by the agency are mandated by the Ohio Revised Code, including investigations, in-home protective services, foster family care, adoption and group care. Services are funded through a variety of local, state and federal sources. Mahoning County Children Services represents more than 100 years of compassionate service to children and their families. It is a rich history of “protecting children and preserving families” through the provision of a broad range of social services to Mahoning County residents. Current services present a continuum of assistance to families: case management; protective services; information and referral, service planning, unmarried parent services; homemaker services; parent education; crisis services; therapeutic foster care; emergency shelter; adoption; post-adoption services; life skills/independent living; and substitute care. 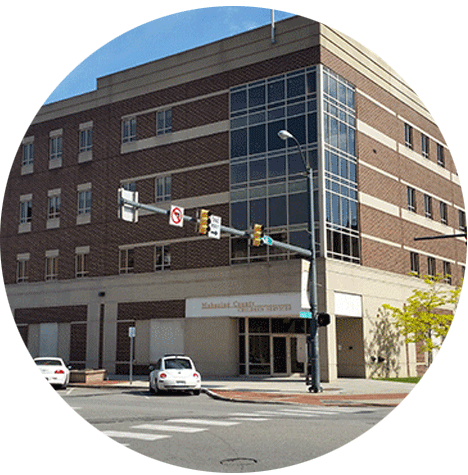 Mahoning County Children Services is accredited by The Council on Accreditation (COA). 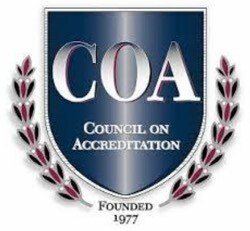 The COA is an international, independent, non-profit, human service accrediting organization. Founded in 1977 by the Child Welfare League of America and Family Service America (now the Alliance for Strong Families and Communities), our mission is to partner with human service organizations worldwide to improve service delivery outcomes by developing, applying, and promoting accreditation standards. We envision excellence in the delivery of human services globally, resulting in the well-being of individuals, families, and communities.